Ghost rats are real; just Google them! They belong to the most dangerous virus family traveling our internet super highways, the Trojan, unrivaled by any in its class for the harm that it can cause if your computer is so unlucky to become haunted by these devilish ghouls. 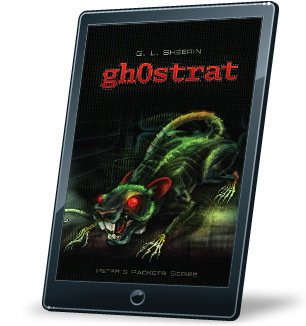 Ghost rats were the invisible weapons used by the largest Cyber espionage ring to be uncovered, GhostNet; a spy network that was controlled by the Chinese. Read this fantastic tale, the second in this award-winning series, on how a young boy named Peter Dempsey along with his human and ‘bit’ computer friends embark on a perilous journey to try and reveal this notorious espionage ring that has infiltrated one of our most secure places, the White House, before time runs out and top secrets land in the hands of the Chinese. All the while they hope to rescue a dear friend captured by the ghost rats. The suspense builds as Peter’s life will take an unexpected turn as he toils inside the dark and dangerous world of international spying. He detests looking at monitors, can barely type with two fingers on a keyboard, and considers his PC 101 class a torture chamber. But when a fateful bolt of lightning gives him the ability to see just who lives and works inside our computers, Peter might have to change his mind. Peter befriends the "packets" who live in his computer and begins to learn about the secret world alive inside the Internet. Packet World isn't always friendly, though. 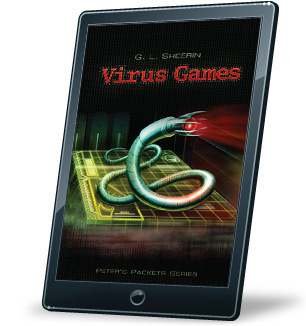 A new super virus has just been unleashed, and Peter and his packets realize they might be the only ones who can stop the "bullies" from shutting down the Internet, and Packet World, forever. © peterpackets.com, all rights reserved.